RIGA, April 5. /TASS/. Nils Usakovs, the sacked Chairman of the Riga City Council, is confident that he can handle the political pressure imposed on him, he said on Friday. "Now I will have to walk along the road of pressure and humiliation, but don’t doubt my character. I will overcome all these obstacles and under any circumstances I will always be with my voters," he wrote on his Facebook page. Usakovs thanked all of Riga’s residents for 10 years of cooperation for the sake of the Latvian capital and slammed Minister for Environmental Protection and Regional Development Juris Puce for his decision to dismiss the Riga Mayor. "At the 2017 Riga City Council elections, current Minister Puce got only 5,000 votes, while I received 105,000 votes. For a decade, not once, have they been able to defeat me in a fair, open and democratic process, but now, the times have changed," the politician elaborated. "The minister made an unlawful decision to dismiss me from office," Usakovs added. "His list of violations is an attempt to dig up the smallest procedural infraction, which includes a reprimand over sending the response [of Usakovs about possible legal violations in the Riga City Council] via mail and not via e-mail. This is, of course, going to be appealed in court. It’s the citizens of Riga that made me their mayor and only they can dismiss me and not Puce and other political midgets!" 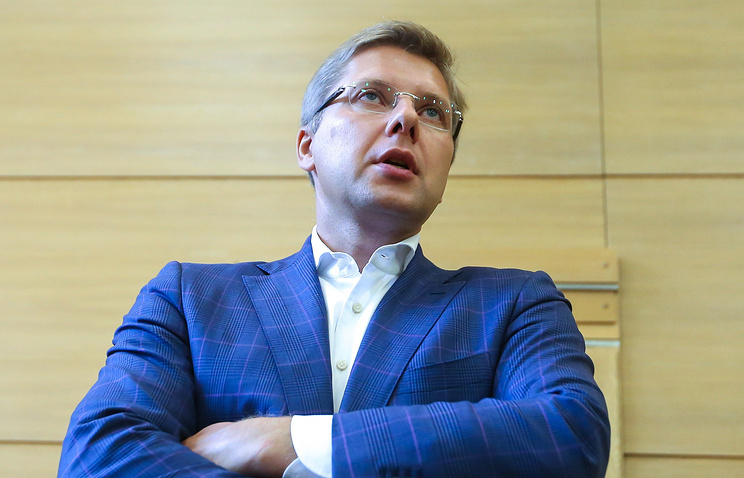 Usakovs also blasted Minister Juris Puce for political insincerity. "According to the Minister, his decision to dismiss me corresponds with "the growth of political and law culture," Nils Usakovs pointed out. "The politician who created his party from the money he had raked in from the slot machine business is talking about political culture? How can a minister in a government that has just duped all of its voters be talking about political culture?" On Friday, Latvia’s official publisher Latvijas Vestnesis published a decree signed by Minister for Environmental Protection and Regional Development Juris Puce ordering the dismissal of Riga Mayor Nils Usakovs. The decree listed all the violations that Usakovs committed as mayor, which mainly relate to the cooperation between the city and the Rigas Satiksme transportation company and claims that there were inconsistencies in a report on the authorized capital of the Riga transportation enterprise and budget injections into it. As the decree stipulates, Nils Usakovs as the Riga Mayor and a Rigas Satiksme shareholder is fully responsible for all the discrepancies in the reports, it also states that the decision can be appealed within 30 days of its publication. On January 30, the Latvian Corruption Prevention and Combating Bureau searched the Riga mayor’s office and residence as part of a criminal investigation of the Rigas Satiksme transportation company that has been mired in a corruption scandal since the end of 2018. Usakovs said that he had not committed any crime or any criminal offences whatsoever. According to him, no investigation was launched against him and no suspicions were put forward. 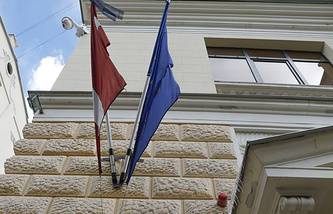 Latvian nationalists demanded that he resign, however, the politician retained his position in office. Following these events, Puce said that his ministry had begun investigating the Riga City Council. On March 21, the ministry reported that the probe had been completed and a number of possible violations had been identified, while the mayor had to provide explanations about these findings. In accordance with Latvian law, the Regional Development Minister can sack the mayor or initiate the dissolution of the Riga City Council. Earlier, Usakovs repeatedly vowed that if an illegal decision on his discharge was taken, he would appeal in court. In February, Nils Usakovs said that he would be running for the European Parliament because the Saeima (Latvian Parliament), according to the politician, de facto "had declared war" on Riga’s citizens. He added that this decision was not related to the corruption scandal over the city’s transport deals.